Panel debate in New York (2016) about Irish-born modernist designer and architect Eileen Gray. Video (23:11): a video biography about Eileen Gray. 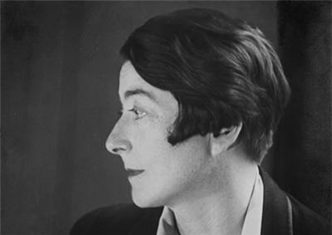 With each passing year Eileen Gray becomes more important in defining the history of modernism. Feminine Moments’ bibliography – art books about artist, architect and designer Eileen Gray. Kathleen Eileen Moray Gray (August 9, 1878 – October 31, 1976) was an Irish furniture designer and architect and a pioneer of the Modern Movement in architecture. The landmark publication ‘Modern Women: Women Artists at The Museum of Modern Art’, in which the museum now openly discusses gender issues, and how instrumental women have been in advancing the arts to where they are today, is the greatest piece of art news, which I have heard in 2010.